The Lawton Undergraduate Minority Retention Grant is an incentive-based, retention grant. 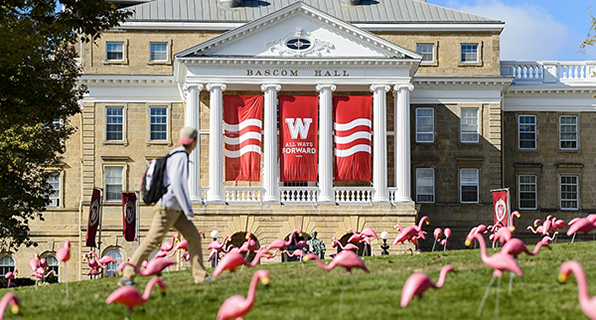 This grant is awarded to Wisconsin resident students from four targeted student populations (African-American, Hispanic, Native American (or American Indian), and Southeast Asian of Vietnamese, Cambodian or Laotian descent. It is a need-based grant monitored by the Office of Student Financial Aid. The Lawton Grant can be awarded over a four-year period beginning in the sophomore year. Lawton Grant funding is renewable but not automatic. Students must reapply every year. Students receive up to $3,000 per year with awards ranging from $1,000-$3,000 per year. Questions? Contact the Lawton Director at lawtongrant@ls.wisc.edu.